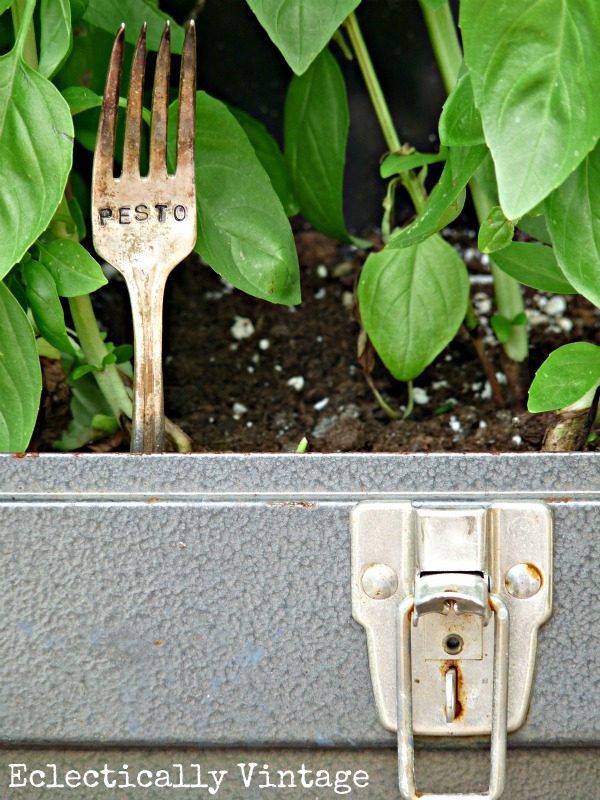 How Do Your Pesto & Mojitos Grow? If it can hold something, it can be a planter. Remember The Rummage Sale from Heaven where I bought one giant toolbox for $3.50 and it was filled with lots of baby toolboxes? What’s better than a fresh batch of homemade pesto? And a mojito to wash it down. My dad’s Cuban so I love me a good mojito. * Sit back, relax and let the mojito work it’s magic! Want your own vintage stamped silver herb markers? Visit my Etsy shop. Learn how to stamp your own silver – it’s easy! love me some mojitos! especially the one’s dad makes! That makes a great planter. Love the chippy bench, too. I have only had one mojito and it was some odd flavor and wasn’t very good. I will have to try another one. I love me some mojitos and pesto! 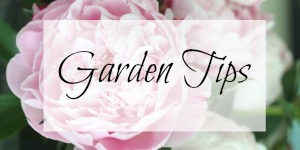 Your house must be surrounded by wonderful old junk planters and greenery…sounds lovely! Still waiting for the warm weather to arrive here. Hi there, just wondering how you got the letters printed on the spoons!!!!!!! Never had me a Mojito but I love mint and basil. The toolbox, old bench and stamped herb markers are great. Love it all! LOVE this but no silver bells and cockle shells (whatever they are???) believe it or not — going to use an old tool box my self for my rosemary : ) shocking right! sending hugs! Love those markers! I’ve been wanting to start an herb garden for awhile but haven’t found just the right spot for them. Love Mojitos too! Do you use any special type of mint? Now that’s my kind of toolbox! 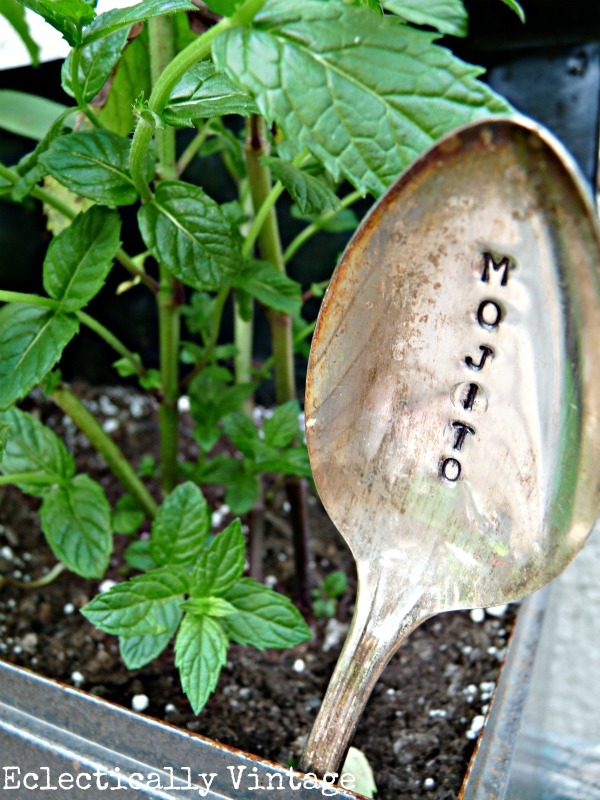 Mojitos….love mojitos…Lived most of my life in South Florida, where the “mojitos roam”….Love the tool box planter…so cute and clever and the idea of naming your herbs after the appropriate drink is making me tipsy with joy…I love it! 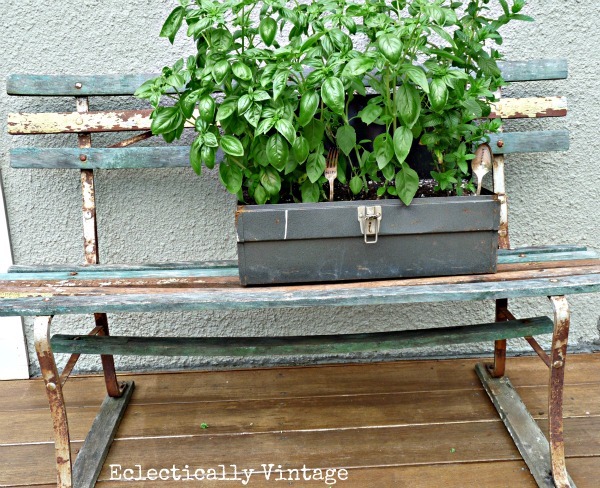 A dresser potting bench, a mop bucket planter and not a toolbox planter- what could be next! You know I’m dying for a few “tour” type shots of the whole space! You are so creative! Maaaan… I love everything you’ve done out-of-doors. And now I’m thirsty. Your basil looks great!!! How is it so full already?? I love pesto, but am reallllly looking forward to Caprese salads… yum! The planter and bench are perfect! LOVE this! love the box, the plants and the markers!!! it’s all awesome! i don’t like mojitos (i know, i know!) but i will come over for some pesto! Oh, yes! I’ll have a mojito! YUM! Love the box filled with plants and mojitos are so yummy! Yay mojitos! It wasn’t until after i planted our garden that I realized I’d forgotten mint. 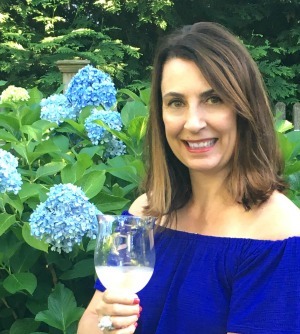 Big problem for a girl who likes cocktails in the summer! Can I borrow your green thumb over here? mmmm…mmmm…mmmm…I could go for one right now! My southern friend makes one bad A** Mojito. Can I say that on here? Love those stamped spoons, Kelly! I have plenty of mint growing so I may have to make some mojitos soon. And my basil is going to seed. I need to give it a haircut-quick! Love the spoons, love the toolbox, love that bench!!! All around love fest going on here! Such a cool planter! Love your silver markers too! We love mojitos over here too! LOVE the stamped spoon idea! So cute. And yes, please, to the mojito! I am getting caught up on my blogs and this is perfect for the end of a long week. Mojitos here I come. Is it 5o’clock yet?? 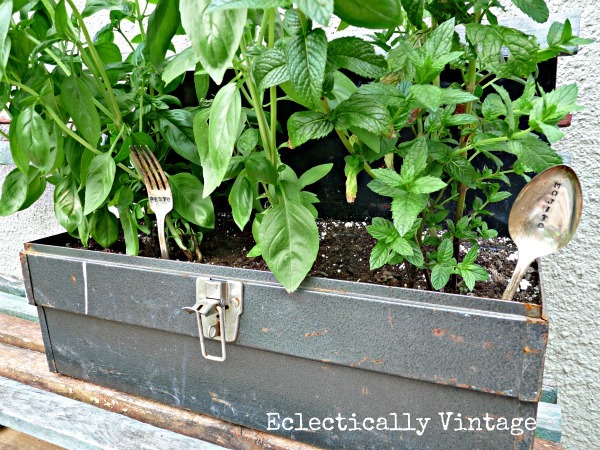 This is fantastic- thank you for inspiring me to jazz up my mint stash! Sounds delish! Love that way of marking your ingredients, too! So cute! I just got a stamping set, but need to find the antique silverware. It works OK on stainless but your whole set up with the tool box and silver is gorgeous! Love this post, please link it up with me Wednesday on Wow Us Wednesday. I see the text links for parties you participate in. Perfect! Thank you! I am following you (on many fronts) now. Hope you have a great weekend. Can’t beat a toolbox or some silver and they work doubly well together! Oh my, this is fabulous!!!! !